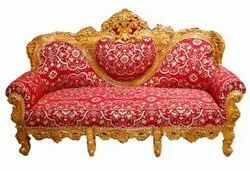 Being a most reliable organization, we are engaged in offering a wide range of Royal Carved Sofa Furniture. One can avail from us Solid Wooden Carved Furniture, which provide high durability and long service life. Offered product is available at very reasonable price. Our attractive range of Carved Colonial Furniture is manufactured using high grade raw material. 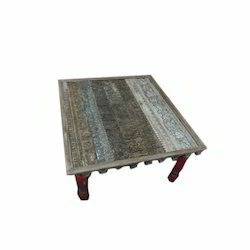 It has a neat wooden finish and possess a royal look. The beautiful carving on the surface enhances the beauty of the interiors. They are our customers favourite as they are contented and at ease. We are renowned and famous name in the market, highly affianced in manufacturing, exporting and supplying an utmost quality Carved Furniture In Teak Wood which is highly recognized among our customer for their sturdy construction and low maintenance. Moreover, these products are available in the market at very affordable prices. We are a well know manufacturers of Wooded Carvings Doors, Designer Wooden furniture and Wooden Handicrafts. Our products have high-quality standards. Indian Handmade Rosewood Sheesham furniture is made from solid sheesham wood which is native to India, it is also known as Indian Sheesham Rosewood. This is one of the hardest woods you can find and is perfect for the making of handmade furniture. To cater the variegated needs of our esteemed customers, we are highly engaged in offering a wide array of Antique Carved Furniture Set. Offering a high quality of royal carved wooden chairs.